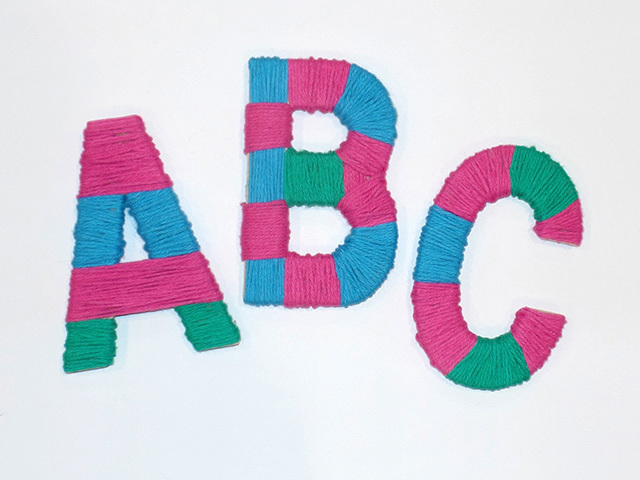 Not sure what to hang in your child’s bedroom or nursery? This cute DIY lets you color coordinate to your room style without breaking the bank on custom artwork. 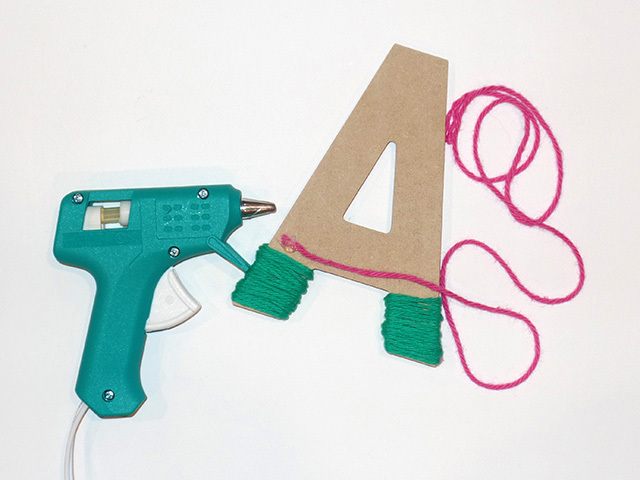 You’ll have this easy peasy DIY done in no time… plus, you can spell out any word or saying you like! 1. 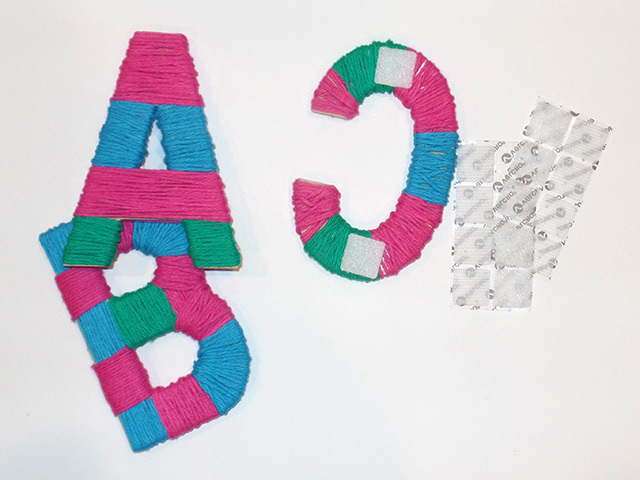 Begin by gluing the end of your yarn to the back of a letter to keep it in place. 2. 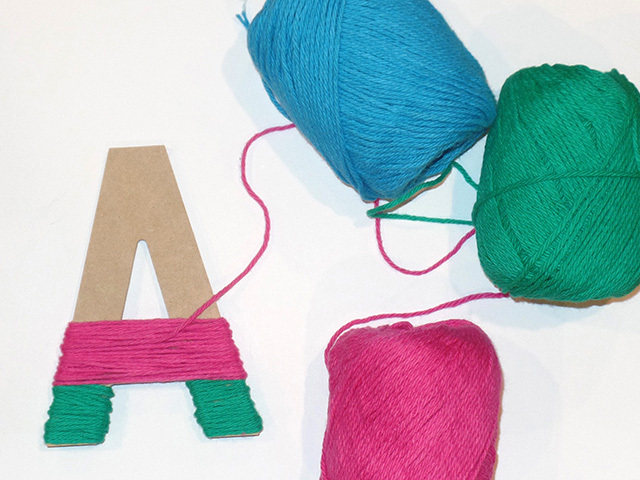 Continue to wrap the yarn tightly around desired segments of your selected letter. 3. 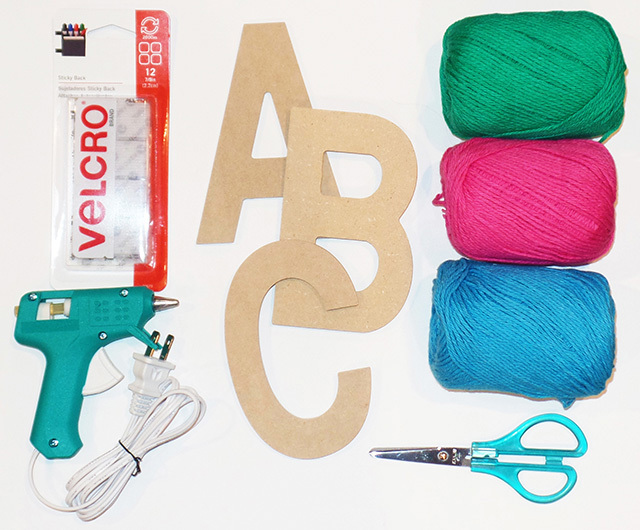 Mix and match colors by stopping and starting your different yarn colors with the hot glue. 4. Once your letters are all wrapped, adhere one side of the VELCRO® Brand Sticky Back Squares to your letter and the other to the wall. That’s it, it’s that easy! Create different patterns, colors and words! Related Project: Make Your Own Sofa Caddy With No Sewing!